We’ve modded Cycling 74 Autotuna which is included in Max 7 Pitch and Time Machine pack. Now you can easily select which scale you want to pitch correct. Aaron Levitz kindly upgraded the device to now include all the Mods!! *Please note that you need to have Max4Live in order to utilize this device, which only comes with Live Suite. The Beat Lab Academy Blog has a huge amount of free downloads and a way for you to learn how to use them. Click here to check out our course catalog for Super Producers and DJ’s. 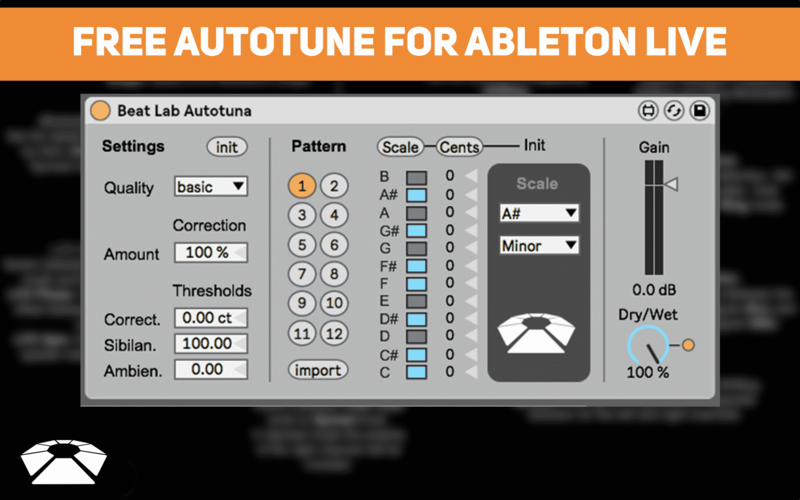 6 responses on "Autotune for Ableton Live (Free Download)"
Doesnt work for my version (Ableton live 9) Any tips on how to solve this? Nevermind, it’s totally a MIDI effect!